I feel severe pain in my back while I am sitting. I think my backbone has changed its shape. It would have been the best if I could hire a masseuse at my work”, says Sivan a friend of mine. Thousands of people like Sivan are suffering from chronic body pain. Well, the problem is in our daily practices. The modern days’ work requires sitting for a long period of time. After this extensive amount of work people spend plenty of time sitting on the couch watching movies or playing computer games. These harmful habits of constant sitting and less movements have very serious health effects like back pain, ergonomics, neck pain, nerve problems, muscle problems and so on. It is a good news for the sufferers that an Ohio Company has come up with a wearable device named iTens to control body pain. 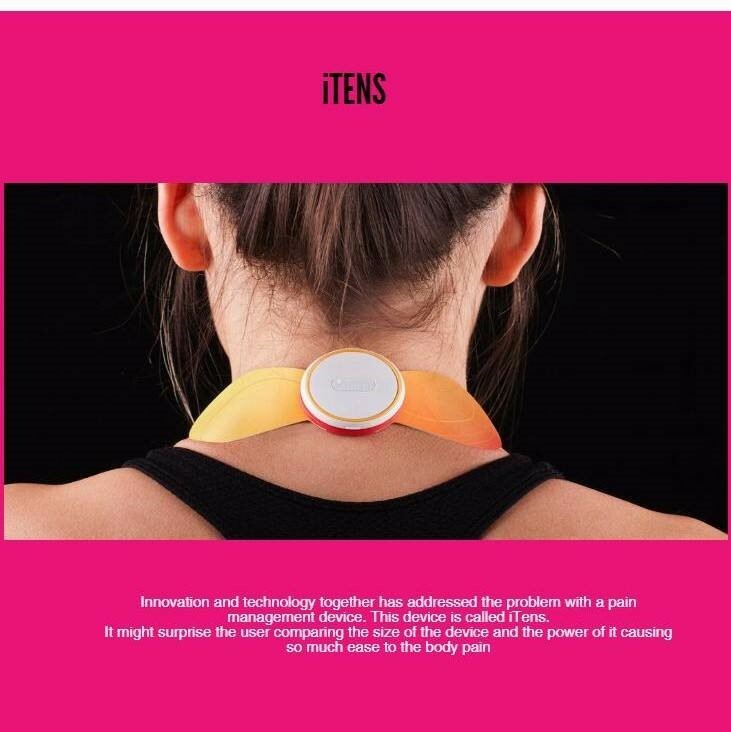 According to the company, “The iTENS device is the world’s first FDA-cleared true wireless TENS therapy device that is controlled with an iOS and android based app. No prescription is needed for this approved over-the-counter, drug-free way to combat pain.” The users may get amazed by realizing the after effect of using this tiny device. The device works through electric current to stimulate the nerves for therapeutic purposes. It uses electro pads which look like wings and three buttons on the front. To activate the device you need to hold the center button for three seconds. The most distinctive feature of the product is the matching apps to control the device. This fully wireless device can be controlled only by a smartphone with the iTENS app. You just need to pair the device with the app and once paired you simply peel the gel from the wings and stick it to the affected area of your body. This unique device comes with different sizes of wings so that the users can best treat their pain depending on the pain area. The iTENS app settings give its users the flexibility to choose preselected programs for specific areas and conditions. The user can even customize the program according to his need. Besides, the results of pain relief are traceable analyzing before and after effect of each session. The incredible device can be used 24 hours on a single charge. This the most portable and flexible device that can be worn under clothing, any time or place. A self-reserved person who likes to stay quiet. A great communicator when handed with a pen and a paper. Likes to discuss about ideas and to share for the mankind.